Two Strangers Who Meet Five Times screened at the following festivals throughout 2017 and 2018 – winning the following awards. Directed by Marcus Markou. With Dimitri Andreas, Gino Azzopardi, Georgina Blackledge, Alister Cameron. Alistair and Samir meet five different times, but it is only when they meet as old men that they can finally put their prejudices aside and meet as friends. This film champions friendship and compassion over separation and distrust. Seattle, WA (The Hollywood Times) 9/20/18 – Marcus Markou’s Two Strangers Who Meet Five Times touches on the topical issues of racism and poverty. This must-see film has been selected for numerous high-profile film festivals and won many awards. Talking about making the short film "Two Strangers Who Meet Five Times" - with Laurence Spellman and Sargon Yelda. Two Strangers Who Meet Five Times (2018) Alistair and Samir meet five different times, but it is only when they meet as old men that they can finally put their prejudices aside and meet as friends. This film champions friendship and compassion over separation and distrust. Marcus Markou’s Two Strangers Who Meet Five Times touches on the topical issues of racism and poverty. This must-see film has been selected for numerous high profile film festivals and won many awards. This live-action short stars Laurence Spellman (Ready Player One), Sargon Yelda (C.B. 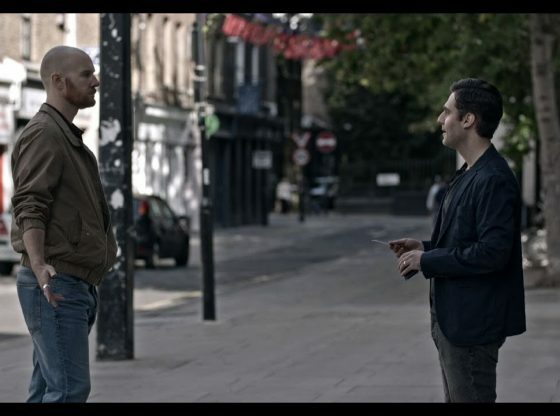 Strike), Dimitri Andreas (Tyrant) and Alistair Cameron (Silent Witness).